Say what you will about the economy, but Americans came up with $350 million to transform our Pomeranians into sillier-looking Pomeranians last year. By Monica Weymouth·	 10/27/2015, 12:16 p.m. I devoted Sunday to drawing up plans for Murphy’s Halloween costume, and I’ll spend every night this week putting the finishing touches on his top-secret get-up. I’ve set aside one evening for tailoring, one for mobility troubleshooting, and another for rebuilding the portions that Murphy will inevitably maul during his many fit sessions. Murphy, you see, is a dog. Murphy, unlike myself, has very little interest in what he’s being for Halloween this year or who wins the office costume contest. The good news — well, for me, anyway — is that I’m not alone. 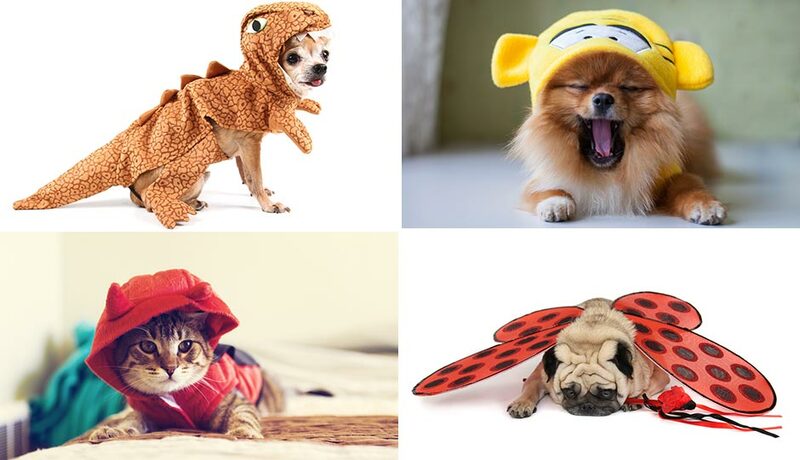 Last Halloween, Americans spent around $350 million on pet costumes. Say what you will about the economy, but somehow we came up with $350 million to transform our Pomeranians into sillier looking Pomeranians for one night. $350 million. That’s a lot of raptor dogs. But as big as that number is, I suppose it really shouldn’t be a surprise considering the way we treat our animals the rest of the year. Which is to say, not really like animals at all. Just two generations ago, the Weymouth family’s dogs slept in the barn. Murphy, however, spent last night on a Tempur-Pedic mattress, curled up in organic cotton sheets purchased specifically for his sensitive skin. I realize I’m the weirdo who takes my shih tzu to an acupuncturist, but I’d like to point out that the doggie acupuncturist not only exists, but is quite busy and received a glowing recommendation from the doggie daycare (which also exists and occasionally has a waitlist). How many of us are willing to pay spa prices for grooming? Judging by the fact that I have to book Murph’s appointment a week out, we have issues, Philadelphia. I’m self-aware enough that I’ve looked around the crowded small-breed dog park and wondered what void we’re filling. That when I strap Murph into his car seat, I pause for a second before handing him his favorite chew toy. Is it that modern life is so isolating and uncertain that we look to our pets for comfort and connection? After so many years of consumer Kool-Aid, were the Harry Potter dog costumes inevitable? Or are they simply a symptom of our crippling addiction to Facebook likes and Instagram snuggles? At some point, I might take a good, hard look at my life and address these questions. In the meantime, I’ve decided to adopt another dog and focus on his Halloween costume instead. Elmer took his “rufferee” outfit for a trial run at a doggie parade over the weekend, and although it needs a little fine-tuning, I think we’re just about there.